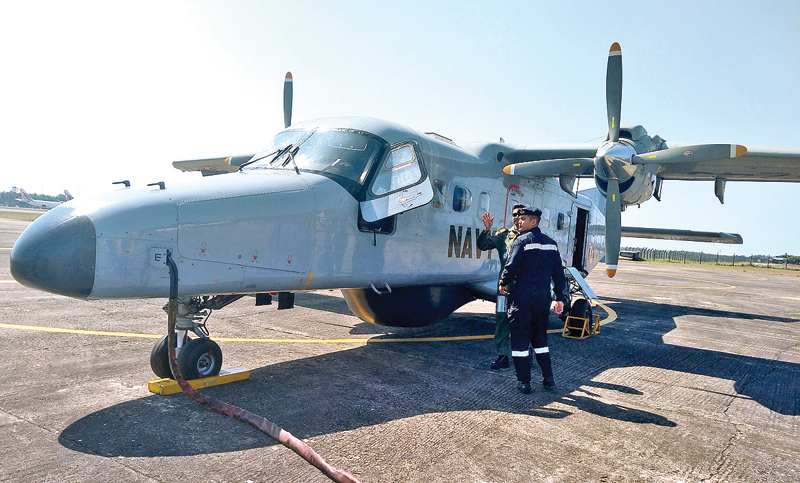 A Dornier aircraft of the Indian Navy arrived in Sri Lanka on Monday for an Air Observer Training Exercise by Sri Lanka Navy and Air Force officers. The exercise was held in the skies about 10 nautical miles off the southern coastal belt from Monday to Thursday. Twelve Sri Lanka Navy officers took part in this rare training exercise which paved the way to improve professionalism and bilateral ties among friendly forces in the region.